Our undergraduate degree in Biotechnology with Enterprise is offered in partnership with the Leeds University Business School, this exciting degree offers both an understanding of disciplines underpinning advances in biotechnology, and the essentials of business, commerce and entrepreneurship. Develop an in-depth knowledge of cellular and molecular life sciences, and learn how this can be applied to real-world problems, together with the entrepreneurial skills to turn your ideas into reality. You don’t need any prior knowledge of business or enterprise for this course. Our integrated Mastersoffers you an additional year of specialist training. You’ll be introduced to advanced enterprise topics and undertake a significant research project. Biotechnology with Enterprise allows us to harness biological systems and processes to help tackle many of the great challenges facing our world, such as maintaining food security, designing biofuels and development of novel medical treatments. This innovative degree will teach you the processes required to take a product from laboratory bench to the marketplace. Become part of the University student enterprise community, offering you opportunities to network with entrepreneurs. Start your own business with support from Spark. Develop a range of transferable skills such as data analysis, interpretation and critical appraisal which will equip you for a wide range of career options when you graduate. Unsure of the difference between Biology and Biological Sciences? Check our guide to help you decide which is right for you. Year 1 provides an introduction to core themes related to biotechnology, including molecular and cell biology, microbiology, genetics and immunology, giving you a broad understanding of life at the molecular and cellular level. Alongside these modules, you will study the processes involved in enterprise planning and management. Optional modules are also available to broaden your business awareness. You’ll develop sound laboratory techniques for studying microorganisms and cellular components such as proteins and DNA through practical classes. You will develop your ability to analyse, interpret and present data, use scientific information to solve problems and design experiments exploiting the techniques you have learnt in the laboratory. In Year 2, you will continue to study biological processes at the molecular and cellular levels, and your continued skills development will be supported through modules that integrate regular tutorials, laboratory practicals and data handling exercises. Practical classes will take the form of projects relating to areas of specific interest to biotechnologists, including gene expression and drug discovery. At the end of your second year you’ll have the option of taking a Study Year Abroad, an Industrial Placement Year, or a Year in Enterprise. You will continue to develop your understanding of business practice and will undertake a module in New Business Planning in preparation for your independent enterprise project in Year 3. In addition to this project, you will also undertake a research project in biotechnology which can be laboratory, literature or computer based (eg bioinformatics, a sought-after skill for modern bioscientists). Both projects will be supported by expert tutors from the relevant subject area. Alongside your project, you will study advanced topic modules, where you can choose from a range of biotechnology topics at the cutting edge of research. You’ll continue to develop a broad range of skills through the subject-specific skills module, as in previous years. Years 1 and 2 are the same as for the BSc, and provide foundation knowledge and skills. Transfer from the BSc course at the end of Year 2 is available subject to performance. In Year 3, you will undertake a biotechnology practical project, which aims to introduce you to increasingly sophisticated techniques and research facilities, alongside your enterprise development project. You’ll also carry out a literature review of your proposed Year 4 biotechnology project area, with the support of your supervisor. You’ll undertake an advanced skills module and study a range of current topics aligned with your scientific interests. In Year 4, you will spend approximately six months working on your research project in your supervisor’s laboratory, alongside a skills module which aims to prepare you for life as a professional scientist, and a Masters-level enterprise module. You’ll have access to the very best learning resources and academic support during your studies. We’ve been awarded a Gold rating in the Teaching Excellence Framework (TEF, 2017), demonstrating our commitment to delivering consistently outstanding teaching, learning and employment outcomes for our students. You’ll experience a wide range of teaching methods including lectures, tutorials, workshops and practicals. Your first and second years will focus on these three teaching methods, building your skills, understanding and knowledge in preparation for your final year research project, which will see you take on independent research and learning with the guidance of leading experts. Across all years, additional workshop and seminar sessions will complement your lectures and lab practicals, and you will undertake private study, supported by online resources. As a guide, a typical week in your first year includes four to eight hours of lectures, six hours of practical sessions in the laboratory, tutorials, workshop and seminar sessions, plus private study. Independent study and research are crucial to every year of the course. We have excellent library and computing facilities to support your learning, and the University Library offers training to help you make the most of them. 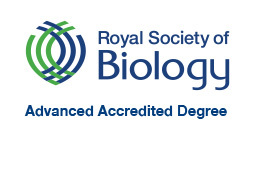 Applicants with BTEC Diploma or Extended Diploma qualifications are required to have A2 level Biology. Applicants with BTEC Subsidiary Diploma qualifications must normally have at least 2 A2 levels and at least one of these should be biology. The preferred BTEC qualification subject is Applied Science. Offers would be grade A in the A2 level science subject and Distinctions in the BTEC qualification. An offer will be made dependent on the BTEC subject and module choices. We do not accept BTEC qualifications. D3/D3/D3-D3/D3/M1 including D3 Biology plus one other science or science-related subject. Advanced Higher: 5 x Highers AABBB, with AA-AB in 2 Advanced Highers including Biology and another science or science-related subject. Critical Thinking and General Studies excluded. AAA-AAB including Biology and another science or science-related subject. General Studies, Critical Thinking and Advanced Skills excluded. We accept the following science subjects: biology, human biology, chemistry, mathematics, physics. Science- related subjects: PE, geography, use of mathematics, psychology, statistics, geology and computing. We accept the following science subjects: biology, human biology, chemistry, mathematics, physics. Science-related subjects: subjects: PE, geography, use of mathematics, psychology, statistics, geology and computing. As well as providing you with subject-specific knowledge, we aim to equip you with the best possible skills for a variety of future careers. All of our degrees have a strong emphasis on practical based teaching, small group teaching, online learning and problem solving. Throughout the degree, you’ll gain a wide range of transferable skills which are highly valued by employers. 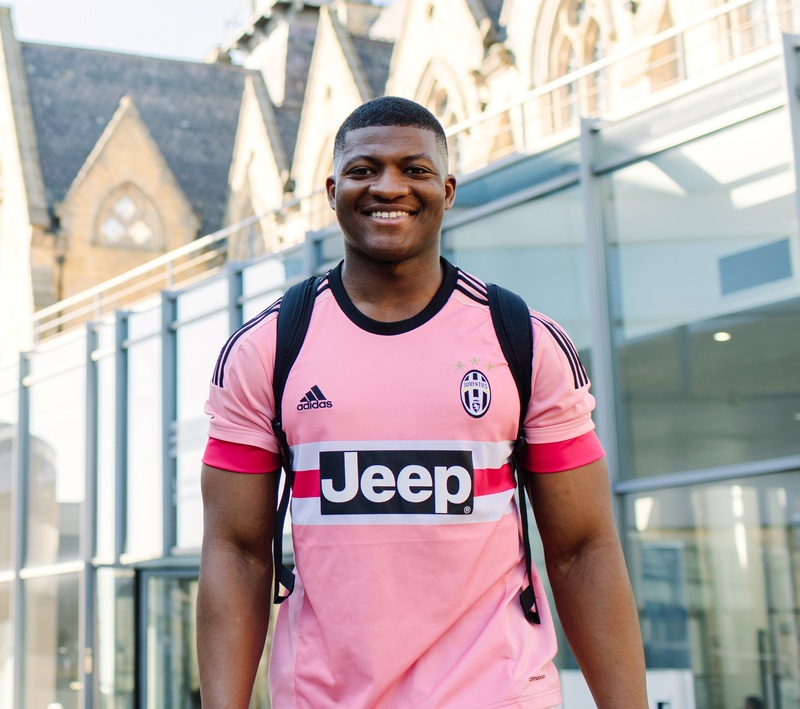 Supported by the Leeds for Life scheme and your academic and personal tutor, you’ll be ideally placed to focus on your personal development and make the most of your time at university. Our graduates have, for many years, experienced high employment rates and a high proportion quickly gain employment upon graduation. With the expansion of the biosciences comes the generation of new and varied career opportunities. Some of our graduates go on to further study at Masters or PhD level. Other career routes include pharmaceutical and biotechnology industries, public health sector laboratories, university and government-funded institutes and health, medical, policymaking and government organisations, teaching, graduate medicine, and dentistry. Industrial placements are typically taken after your second year. This will extend your studies by 12 months. For your work placement in industry, staff at Leeds will help you with your CV and application letters and provide a list of organisations which may offer industrial placements.